There was once a time when Rafa Nadal was known as “Miguel Ángel’s nephew”, before the tables turned and Miguel Ángel was rechristened “Rafa’s uncle”. Take the last weekend of June in 2003 as an example. On 27 June, Rafa was knocked out of his first ever grand slam, after becoming the youngest male to reach the third round of Wimbledon since Boris Becker did so 19 years previously. The 17-year-old of limitless promise had taken on the 12th seed Paradorn Srichaphan and, even though he lost, he was applauded out of SW19 after what he called “a good tournament in which I played at a very high level”. Yet Saturday’s newspapers back in Spain weren’t focused on the teenager. The only front page references to the Nadal family were for his uncle. That’s because Miguel Ángel was competing in the Copa del Rey final that Saturday evening. The 36-year-old defender had already won the tournament during his trophy-laden career at Barcelona. Born in Mallorca, Miguel Ángel had started out at local side Manacor and then moved to the island’s giants Real Mallorca in 1986. After five up-and-down seasons with Los Bermellones, he was signed by Johan Cruyff’s Barcelona and won the Spanish Super Cup, the LaLiga title and the European Cup, the first in the Catalan club’s history, during his debut campaign in Catalonia. While he didn’t feature in the final against Sampdoria, he did make nine appearances during that European run and was a valued member of the squad. 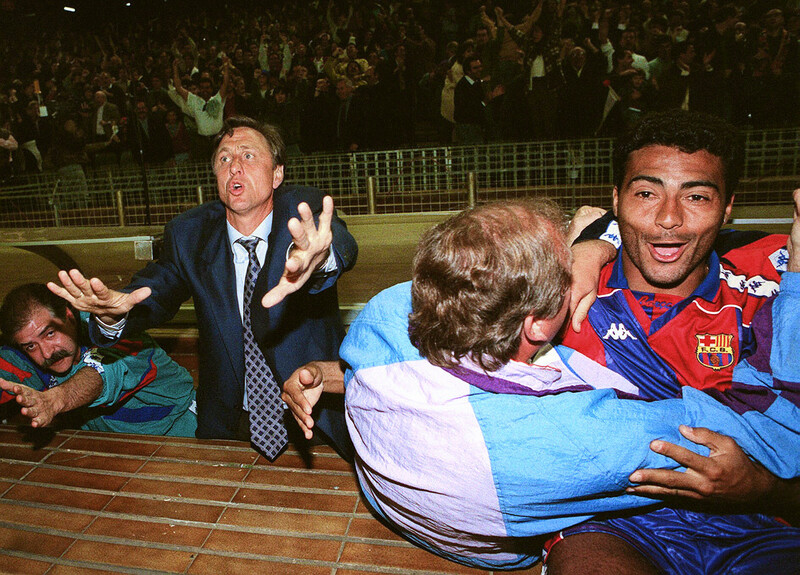 Three more trophies followed the following season, in 1992/93, as the Blaugrana won the Spanish and European Super Cups, plus another league title. Throughout his time in the Catalan capital, silverware was never far away for the Mallorcan and he collected 15 medals during his eight seasons at the Camp Nou. An increasingly regular starter through his first few years in Barcelona, he even captained the side on a handful of occasions and became one of their most dependable players. He didn’t play 295 games for the club; he played the same game 295 times, reliably like clockwork. Even after Cruyff departed in 1996, the new coach Bobby Robson was so impressed with him that he helped keep the Spaniard at the club when he had been very close to a summer transfer to Manchester United. So the defender didn’t go to England and remained in Catalonia, where he continued to impress and win titles. Eventually, though, his Catalan adventure reached its conclusion and a return to Real Mallorca materialised in the summer of 1999 for their first season at their current ground, the Estadi de Son Moix. It was there that he finished his career and it was there that he underlined his status as a legend of Spanish football by playing for six more seasons up to the age of 38 and producing some of the best football of his career. With Miguel Ángel as the cornerstone of the side, Real Mallorca achieved Champions League qualification by finishing third in the 2000/01 season, ahead of his former club Barcelona. Although they didn’t pass through the group stages of Europe’s premier competition, despite earning nine points and defeating Arsenal, Schalke and Panathinaikos, the best was yet to come for the Balearic club. After coming second in the Copa del Rey campaigns of 1990/91 and 1997/98, Real Mallorca were hoping to make it third time lucky on that early summer’s evening of 28 June 2003. Miguel Ángel had been involved in two previous finals, finishing on the losing side in the 1-0 extra-time loss against Atlético Madrid at the Santiago Bernabéu in 1991 and on the winning side as Barcelona conquered the islanders on penalties at the Estadio Mestalla in 1998. It made it a happy ending to a weekend of lows and highs for the Nadal family. While young Rafa was an up-and-comer in the tennis world, his time in the spotlight was still to come. This was the weekend of Miguel Ángel. It was in 2005 that the torch was passed from uncle to nephew, from football to tennis. Miguel Ángel announced his retirement in the spring, just as Rafa was about to embark on his historic clay court season, during which he won 24 consecutive matches and claimed his first grand slam title by winning the French Open at Roland-Garros at the age of 18. They two Nadals even met on the football pitch that summer during the former Mallorca captain’s testimonial. Icons such as Hristo Stoichkov, Pep Guardiola, Luis Enrique and Johan Cruyff all turned out for the match in Son Servera in Mallorca, with Rafa playing as well, scoring the only goal for a Spain and Real Mallorca combined XI in the 1-1 draw against the legends of the Barcelona Dream Team. 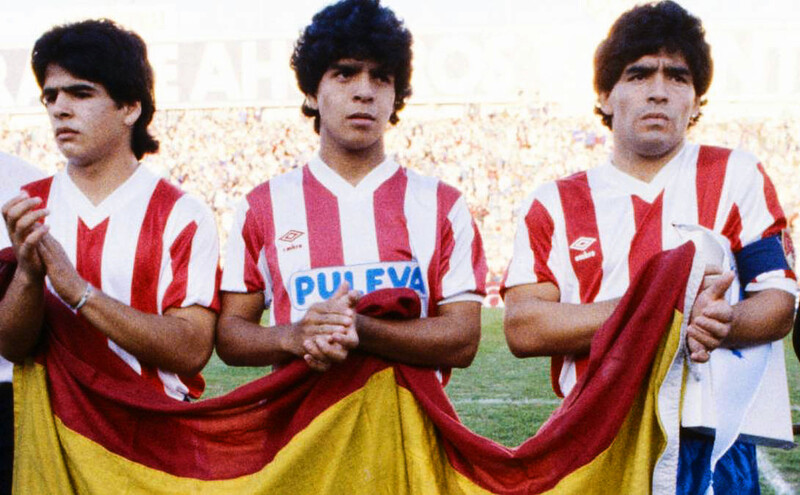 From there, Rafa went on to become one of the most famous and most decorated sportsmen in Spanish history. With 17 grand slam titles, only Roger Federer is ahead of him in his sport. He is truly one of the all-time greats and has eclipsed what his uncle achieved on the football pitch. Through it all, though, he has remained a humble champion and admits that he owes a lot to the lessons taught to him by Miguel Ángel. “The fact that my uncle was a footballer helped me and my family to be calm in this environment,” the tennis star explained many years later while at the peak of his powers. “Above all, he is a great sportsman. He may have had a brilliant career in a footballing sense, but he is a great sportsman in general and has helped me in this department,” he added, highlighting the uncle’s love for golf and for tennis in addition to the sport he played, with Miguel Ángel even having trained Rafa on a couple of rare occasions when the famous Uncle Toni wasn’t around to do so. To say Rafa wouldn’t have made it without his uncle having previously stepped foot into the world of sport would be retro-engineering in the extreme, but it certainly helped. While the tennis star has achieved much greater worldwide fame than his uncle, they’re both highly regarded in Spain. Miguel Ángel represented the national team on 62 occasions, putting him in the top 25 on the all-time list for caps, and he captained his country on occasion too. 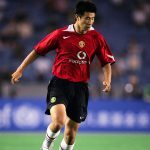 His career with La Roja wasn’t always the happiest, being sent off in a group stage draw with South Korea at the 1994 World Cup and missing the decisive penalty in the Euro 96 quarter-final against England after neutralising Alan Shearer so impressively for 120 minutes. Yet there were many highlights as well, with Miguel Ángel having been so crucial in his side’s 1994 qualification with a historic performance in Dublin against Ireland in a qualifying win. The newspapers back in Spain game him four stars out of three. While he didn’t win any titles with Spain, golden moments were to come for the Nadal family thanks to Rafa’s triumphs while wearing red at the 2008 and 2016 Olympic Games and during Spain’s successful Davis Cup campaigns of 2004, 2008, 2009 and 2011. The entire family celebrated those successes, just as they’d all toasted the victories of Miguel Ángel all those years previously. Even Rafa, who has always been a devout Real Madrid fan and who has even been touted as a possible presidential successor to Florentino Pérez, became a fan of Barcelona on occasion, so strong was the will to see the family do well. Rafa was even pictured in a Barcelona shirt alongside his uncle on the Camp Nou pitch at the age of nine. 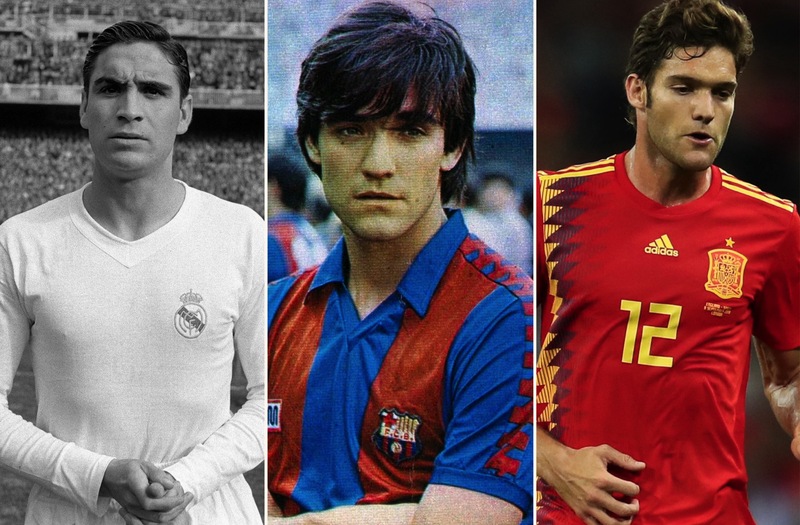 “We managed to get a Madridista to celebrate a title of Barcelona’s, or a few of them, and to become a Barcelona sympathiser, but we couldn’t get him to fully convert to become a culé,” Miguel Ángel joked years later during a reunion of the Dream Team. “When my brother played at Barcelona Rafa wanted Barcelona to win, but was never fully convinced because he was fanatical about Real Madrid and when my brother returned to Real Mallorca he was able to switch back again,” Uncle Toni added. Just as Rafa celebrated his uncle’s successes, even those achieved in blue and red, Miguel Ángel is regularly pictured in the stands as his nephew claims title after title on the court. It’s an impressive family box. As well as Miguel Ángel and Toni, the brothers who look so alike, there was Rafa’s grandfather of the same name who was an orchestral conductor and another uncle named Rafa with a career in politics. Miguel Ángel’s son of the same name pursued a career in football too and spent some time at Real Mallorca. Rafa’s parents, Ana María and Sebastián, have been by his side throughout, as has his long-term partner Xisca Perelló, who he married in 2019. Some families are simply meant to win. Whether on the grass of Wimbledon or the grass of the Camp Nou, the tennis player and the centre-back both had the task of keeping balls from hitting nets. Rafa and Miguel Ángel Nadal were and are two of the very best in their professions. They have been and will be known as each other’s nephew and uncle, but they’ve both made their own name for themselves. They’ve both achieved glory as a Nadal.